My name is Amy. I’m a wife, mother, animal lover, American expat and owner of Riomaggiore Reservations (a holiday lettings agency in the Cinque Terre). Let’s just say I wear many hats. So you might be wondering what makes me an insider in the Cinque Terre. In a nutshell I’d say it’s because I’ve been living here for over 16 years. I’m also married to a local Riomaggiorese. But wait. Let me rewind a bit. In 2002 I came to Italy to discover its wonders, beauty and people. I traveled the country for three months all by my lonesome. It was an amazing, intense, and unforgettable experience. I went back to the States to start the rest of my life but the Italy bug had bit me. Hard. I knew something was amiss when I started feeling homesick for Italy. I took the plunge and moved to Italy in January of 2003. Everyone back home thought that I was crazy (and in hindsight, maybe they were right?). I came back to the Cinque Terre as it was one of my two favorite places from my Italian travels. I really didn’t expect to settle here as it’s such a tiny place; I thought it would be impossible to find a job and a place to live. But Cinque Terre had something else in mind for me. A job and a teeny tiny apartment in Riomaggiore and (eventually) an Italian husband awaited me. People oftentimes assume that I met my husband first and then moved to Italy. The truth of the matter is that first I fell in love with Italy and then with my husband (I met him four months after moving here). In the years to follow we added two French bulldogs and two little tornadoes (two boys, currently 3 and 7) to the mix. Our cups are filled to the brim (as is our apartment). When I step back I realize just how lucky we are. We live in a place that most consider paradise. I’ve had a 16+ year love affair with Italy (and in particular, with the Cinque Terre). As in every relationship, we have our ups and downs, our trials and our triumphs. But the best part is that no matter how bad it might be, we always kiss and make up (one kiss on each cheek, mind you). I’ve created this blog to share an honest, insider take on the Cinque Terre. Not just things to see and do and glossy photos (because it really is that beautiful here). While those things are great (and don’t worry, I’ll give you plenty of eye candy), sometimes you need to know what’s going on behind the scenes on a local level to help better understand the culture and mindset. P.S. Due to popular request, I’ve rolled out travel consultant and concierge services for the Cinque Terre. Interested? Drop me an email at amy@cinqueterreinsider.com Ciao for now! Amy, one last question before we head to Monterosso in 10 days. We are driving, and will arrive in the afternoon on a Saturday. What are your recommendations for parking? How do we make sure we have a place to park? Thanks so much and can’t wait to get there. Hi Amy, Thank you for all your information about Cinque Terre. We just returned home from 2 weeks in Italy and one of our ventures was to Cinque Terre. We drove to Le Spezia and parked down by the water for free on a Sunday and walked about 15 minutes to the train station where we purchased a combination all day park/ train pass. From there we took the train to Monterosso. We walked around and had lunch before setting out on what we thought would be a nice hike to Vernazza. The sites were beautiful, but let those be warned, this was a real workout and not for the faint of heart. I’m glad we went in April. I can’t imagine how crowded the trail could become in summer. The views along the trail were breath taking and the pain well worth it with an apertivo waiting to be had at the end. If you take the trail, be advised that they do have a checkpoint along the way to check your park pass. I’m so glad to hear that you enjoyed your time here! The Monterosso to Vernazza portion of the coastal trail is actually the most difficult segment (not counting the Beccara, which is an alternate trail). Yes, your heart will get pumping! FYI: During peak-season the checkpoints for tickets on the coastal trail will always be open (but there’s no penalty if you arrive and purchase the pass there). Where are you staying in Monterosso? My advice is to ask your hotel (or host) if they can arrange parking for you. If not, see if they have any advice. Monterosso has a large dirt parking lot in Fegina (the newer portion of the village) and also payment parking in the old portion of the village. If you get there early enough in the day you can usually secure a spot but if you wait until prime time chances are they will be full. Hi Amy, Nice website you’ve got! i enjoy reading all the information and there are certainly some good tips that we will use. A hike we allready had in mind but a winetast afterwards is a damn good idea! I’ll surely spent some time on your site before we fly to Riomaggiore at the end of september this year; Ciao! Thank you so much for your nice words and encouragement! I really appreciate the feedback and it’s great to hear that you’ve found the blog helpful. Thanks for sharing your advice and experience on this blog! My husband, daughter and I will be visiting the Cinque Terre area in June (unfortunately for only 1/2 a day) and I have two questions about parking at the La Spezia station. First, can you only reserve a parking space the day before you arrive? And second, is there a specific time by which you need to arrive to be able to enter the car park, i.e. is it possible to arrive there too early (or too late)? I’m glad you’ve found the blog helpful! You can actually reserve a space for the parking garage months in advance. I don’t recommend waiting until the last minute because the spaces that are available to book in advance are very limited (once those are booked out you’ll just have to show up and hope to find a space first come, first served) and because you have to reserve *at least* 24 hours in advance. When you reserve a space online, they will ask you what time you anticipate to arrive and depart (whether it be before 12 noon or after 12 noon). If you select the former you can arrive anytime between midnight and 11:59am. If you choose the latter time (after 12 noon) you can arrive anytime between 12 noon and 11:59pm. I hope this info helps you in your planning! I was referred to your website through the Rick Steve’s Italy book. It’s a great site you have here, very personal and informal. I thought I would contact you with the hope of getting some info about Cinque Terre, in particular the hiking situation – as far as what trails are open, etc. My sister is generously taking me to Italy from the U.S. this September for my 60th birthday and even though I’ve traveled a lot, I haven’t made it to Italy yet. I’m very excited. We will be in Italy from Sept 11 – 25th and I definitely want to spend time in Cinque Terre. I see I can leave my email below. I ‘d prefer to communicate with you through email as opposed to this public comment page. I hope that’s ok with you. I have a bunch of questions. As for the status of the hiking trails, be sure to check out my dedicated post: https://cinqueterreinsider.com/2014/09/26/current-status-of-the-cinque-terre-sentiero-azzuro-coastal-trail-september-2014/ This post is up-to-date and will tell you everything you need to know. Thank you so much for taking the time to get back to me. I’m sure with taking care of two little boys and it getting closer and closer to the busy season, you don’t have much extra time on your hands! The dedicated post you referred me to was very very helpful!! It was the clearest information I have been able to find out of the confusing mess out there. Your blog is absolutely terrific and so thoughtful. It’s so great to be able to see all your personal insights and recommendations for restaurants and everything else. I will be asking more questions as time goes on. Take care. Your blog is mentioned in Rick Steves’ Italy’s Cinque Terre Pocket Guide. I did not see it in the full size book but the pocket version is newer. Headed next week for a two night stay in Manarola before hitting Tuscany. Printed the Excursion Guide from your blog but it is in Italian! Is there an English version available anywhere? I also tried to go to the website for booking and there wasn’t anywhere to do it. I am interested in the tour on Saturday the 28th of October. Any help would be appreciated. Thanks! Thanks for reading! Please pardon the delayed reply but I’ve got two little ones at home that are both under the weather… this mamma is exhausted! I don’t have an excursion guide on the blog so I’m guessing you clicked through a link on one of my posts and that you got it off of the National Park’s site? we are coming to Portofino and cannot find a good hotel besides the Splendido. can you recommend two more ? also any good wine visits in the area? Thanks for reading the blog. 🙂 Portofino is teeny-tiny (seriously, it’s smaller than most of the Cinque Terre villages) so there’s not a lot of choice when it comes to accommodations (especially if you are wanting a specific star rating). Have you looked in Santa Margherita? It’s very close by and a small, lovely city so you would have a lot more options for accommodations there (and you’d still be super close to Portofino). Just got back from a wonderful European vacation and we visited Cinque Terre for 5 days. We stayed in Monterosso at the wonderful La Poesia with our fantastic host Nicoletta! It was a fantastic time and we visited all the 5 regions and thanks to your great blog/website we got to enjoy many of the hidden gems in the area. From having dinner at The Miky and Ciak to sipping coffee at Pasticceria Laura. We really loved being in Monterosso. Everyone was so friendly and the family atmosphere at night was so wonderful. THanks again for all your website information and for answering our questions before our trip. Ciao! Take care and we hope to see you back in the Cinque Terre someday soon! What a fantastic source of information!!! I have looked at many websites and books but yours is the most informative, well done. I am planing to visit “Your Paradise” end of August this year, together with family (10 Adults and 4 Children) will stay in Tuscany for two weeks and one of things to see will be Cinque Terre! We are going to use your advice and we are coming by train, not sure if we will park our cars in La Spezia or Levanto, we can’t book a parking yet as we don’t know registration numbers of the hire cars… in fact the big carparks on both side of Rail Station in Levanto looks OK and it is Pay as you stay (h rate). What do you suggest Amy? I also need your advice about baby pram, my little one will be 9 months old when we are in Italy and we will have a pram and baby carrier with us, I presume a Cinque Terre is not a best place to use a pram? I haven’t yet posted on this option (but it’s in the works!) but there’s the possibility to park for free at a secondary train station in La Spezia called La Spezia Migliarina. You can check train times and schedules at http://www.trenitalia.com (enter in that you’d like to leave from La Spezia Migliarina and then enter which village you’d like to make your way to first). Most options you’ll have to change trains at La Spezia Centrale but if you time it right you can actually catch one that goes straight through and won’t require a change (which is ideal, especially since you are traveling with so many people). 1) The Migliarina station is secondary and pretty deserted. There’s no assistance, TI office or anything else there other than an automated computer kiosk where you can purchase tickets. If you are planning to buy the Cinque Terre Card, you will not be able to do that at the Migliarina station. 2) The free parking at the Migliarina station is lined in white. There are 48 (yes, I actually counted them!) free, white-lined parking spaces there at the station. There are even more free parking spaces a bit further from the station. Just be sure not to park in blue (payment) or yellow (reserved for residents or handicap) lined spaces. These parking spaces are uncovered and unguarded (so you’ll be parking at your own risk). Be sure not to leave anything in sight or of value in your vehicles (although this is a common sense rule that applies universally). I would feel fine leaving my car there during the day. I might be a bit more concerned about leaving it for a longer period of time, especially if it has a non-Italian license plate. Lastly, I recommend a baby carrier but if you’re really stroller dependent, I wouldn’t take more than an umbrella stroller (I most definitely wouldn’t take a big, bulky stroller on the trains). I have managed to persuader one of my friend to go to Cinque Terre and he is there right now!!! I have another question. Looking for a best possible (not crazy expensive and posh) restaurants and places to eat, it is very important they are very local make fine food using local ingredients and recommended by You! So, I’m back again with more questions. I figured out my itinerary and I’ll be there with my sister from Sept 16 through the morning of Sept. 19. I am trying to decide if I should stay in Manarola or Vernazza. I know you have a special place in your heart for Manarola, but from reading some stuff, it seems that there are more options as far as places to stay and places to eat in Vernazza. While these things are important, they’re not the only things to think about, y’know what I mean? My plan basically is to do some hiking around, walking around, eating, drinking, and just soaking in the beauty of Cinque Terre and the people that live there. I was wondering what your thoughts were on the differences between the two towns. Hope you and your family are well and enjoying the season. My wife and I stayed in Vernazza for 5 nights about a year and a half ago. Like you, we frequented this blog for the best information for our trip. Amy really puts her heart and soul into helping visitors to the Cinque Terre. A true labor of love. I enjoy the blog so much that I keep up with it so I can live vicariously through those who are visiting the region!! Forgive me Amy if I am intruding, but I wanted to make a comment on places to eat. Although we stayed in Vernazza for 5 nights, we only had dinner there for two. With the train pass that allowed for unlimited rides between the 5 villages, it was a breeze to have dinner in Manarola, and then catch the train back to Vernazza. We did the same for Cornelia and Monterosso. At the end of the day, we just had dinner in whatever village we found ourselves. However, if you do want to freshen up in your guesthouse, the train rides between villages are short. Later in the day, the trains aren’t always timely, but we enjoyed soaking in everything: even waiting for the train at the platforms! I hope this is helpful. And again, my apologies for the intrusion, Amy. I’m sure I’ll have more questions when we visit the Cinque Terre in 2 years for our 10 year wedding anniversary! Thank you so much for chiming in and for all of your kinds words! I’m sorry I didn’t reply sooner but I’ve been under the weather this week and as a bonus same goes for our youngest son. We’re *finally* starting to feel better! I hope this advice helps! P.S. Be sure to visit Vernazza in the evening (rather than mid-day) to cut out the crowds and make it a more memorable experience. I forgot one more thing. If I do stay in Manarola, is there anybody available to help with transferring luggage from the train station? I saw Bagagli Express on line, but didn’t contact them or anything yet. Is that a possibility? Not that I’m going to have a ton of stuff, but I’m not dying to walk with what I will have up a lot of steps. Yes! There’s a porter in Manarola called Bagagli Express with service available from 8am to 8pm. I recommend contacting them in advance at info@bagagliexpress.it or you can ring +39 393 933 2740 or +39 331 152 9864. Thanks for the advice! Very helpful as usual. Good to hear you and your son are on the mend. And thanks to Brian as well! So, I think I will try to find a place in Manarola. Quick question: I was a little unclear about the cost of the train pass that I can buy to go between the towns. Is it 33.50 or 16.00? And that’s per person I assume, right? And I might have missed it in one of your many great posts, but did you post a schedule for the train? Thanks a million! I hope I can meet you when my sister and I are there! The €33.50 pass is the monthly pass (“abbonamento mensile”) for unlimited train travel between the villages for an entire calendar month (it has paid itself off after you’ve caught nine trains). The €16 pass is for a 1-day Cinque Terre Card. That will include unlimited trains between the villages, use of the ATC buses, hiking along the coastal trail (the only portion that requires payment) and a few other perks. You can get a 2-day Cinque Terre Card for €29 or a 3-day Cinque Terre Card for €41. You’ll really just need to do your sums to see what option works best for you based on your plans. Don’t forget, the price to catch a train from one village to another in the Cinque Terre without one of the aforementioned cards or passes will be €4. The hiking pass for the coastal trail is €7.50. P.S. To check train times and schedules go to http://www.trenitalia.com 🙂 In theory, from 8am to 8pm there should be a Cinque Terre Express train every half hour in both directions. I just had to tell you that we made reservations to stay at Da Paulin in Manarola and I’m so excited!!!!! I can’t wait! Your post is very helpful and thank you for sharing your knowledge especially to those trying to plan a trip from afar. I have been researching and still stumped on the best route to get to the Cinque Terre for a day trip. If you could provide your input it would be GREATELY appreciated. I like most want to see a lot while on my visit to Italy (first timer as well). A little background in summary on my planned trip: Arriving in Rome Sept 18—getting rental car at airport—driving to Montisi (staying there for 5 nights)—as recommended having rental car for the entire duration of my stay there. Day 6 driving to Florence and dropping off car close to the train station and not having car for duration of trip—staying in Florence 3 nights—taking train from Florence to Rome to finish the last 2 nights there. My major predicament is: as I am well aware Florence is closer to Cinque Terre then MontisI BUT Florence I only have 3 nights and I want to make sure I have time to see and experience Florence as well as I am taking a day trip to Venice while there. Because I am staying 5 nights in Montisi having my day trip to Cinque Terre make more sense as far as time wise. My direct question is as I have read driving sounds like it can be a bit scary as well as parking. I have read your column on parking at the train station which seems like a good fit. My thought is to leave very early in the morning—drive to a close town to easily get a short train to explore the villages. I am thinking that driving somewhere at least close to a train will save on time? Or do you think I should just pick between Venice or Cinque Terre while in Florence. Just think that if I can drive (and not be scared to death doing so) to get close to a train that would be a really great option. I don’t want to be in the car for hours and hours but a 3 ½ car ride to get there seems doable. Sorry for the length just really need HELP! Hahha. Thank you in advance! Might I ask why you’ve decided to spend so many nights in Montisi? Unless I had a particular reason for staying there for five nights (like visiting family or whatnot) I would arrange my dates a little differently. Both Venice and Cinque Terre deserve more time than a day trip if you can swing it. Just wanted to say I’m loving your blog! You’re spot on with blogging about really usefully (and inspiring) topics! I’m soon to visit Cinque Terre for the third time and am really enjoying reading through your blog in preparation! I am so excited to have found your blog – you give personalized and very helpful information for Cinque Terre visitors. I had a question for you about traveling to Cinque Terre in mid/late October. Are there any days of the week that shops and restaurants are more likely to be closed since peak season is coming to an end? We will only be there a short time, but love so many of the restaurants so we want to make sure we come during the week when you’d recommend (e.g. if Mondays most things are closed, we will avoid Monday). Thanks for your time and thank you for your wonderful blog! I’m so happy to hear you’re finding the info here on the blog helpful! Things in the Cinque Terre will start slowing down mid-October (I love that time of year!). However, most businesses brave through and start closing after the November 1st holiday. I will be in CT on August 26th. My husband and I are staying in Vernazza for five days. We will visit all the towns of the CT. We can’t wait. I wanted to ask you three questions. I am allergic to tree nuts, almonds, walnuts, pine nuts, etc…. I know the CT has a lot of pesto, which has pine nuts in it. I need to know how to say “I’m allergic to pesto”. Could you help me? I know this is a weird request. I will also ask the woman who we are renting our airbnb from too, but I thought it doesn’t hurt to know earlier. Next questions is, we would like to hop on the boat from Vernazza and just relax and enjoy the view and go back and forth viewing all the towns. I know they have a daily pass for around 25euro. I just want to make sure that I understand that we can stay on or hop off at any village and get back on until we want to get off at Vernazza. Is this true? 3rd question, is it worth going to Portovenere? I would make a card that you can hand to waiters/shop clerks etc. with your specific allergies (versus simply saying you’re allergic to pesto which could create confusion as to what ingredient you’re allergic to in the pesto). NON sono allergica alle arachidi. The day pass on the ferries (€25 per person) will be for an unlimited number of trips (hop on, hop off at your pleasure) throughout the Cinque Terre for that day. This helps so much. Thank you! Grazie. Lynda, you are too sweet! Thank you so much for your kind offer. ❤️ Off the top of my head nothing comes to mind, but thank you! Hi Amy, Just wanted to let you know we had an awesome time in CT. What a great place. We hiked to Corniglia one day, had lunch, walked around, then took the train to Manarola, had a gelato and walked around, then back to Vernazza. Second day we did the hop on hop off boat. We went to PortoVenere first, awesome place! Then hopped off at Riomaggiore and did your panoramic tour, that was nice to have. Then hopped back on the boat and sailed to Monterosso and then back to Vernazza. It was a great boat ride. Our third day was a hike to Monterosso. Fourth day we just relaxed in Vernazza. We had a wonderful time. Thanks for the tips. It sounds amazing… like four perfect days! I’m so glad to hear you enjoyed yourselves. Take care and hope to have you back in the Cinque Terre someday! 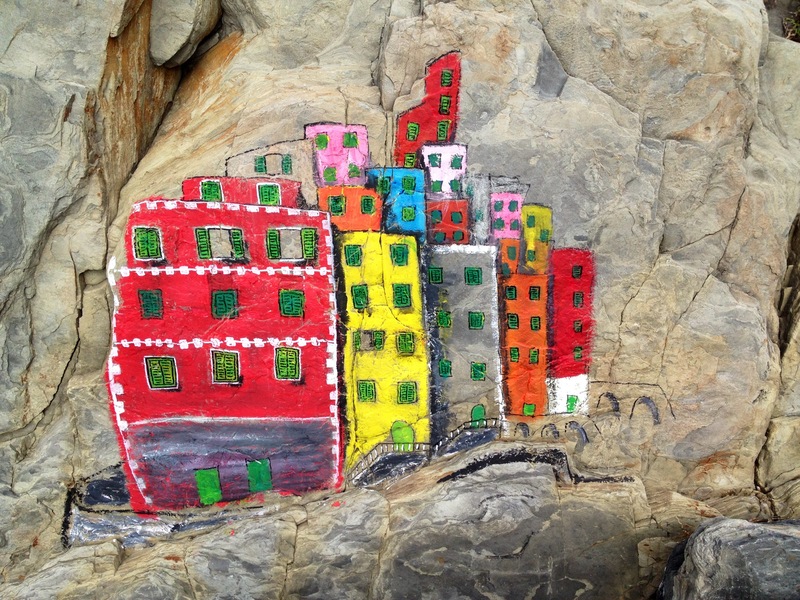 I don’t know if you remember me, but I’ve talked with you on your blog a bit about coming to Manarola. I wanted to try to touch base with you about how the weather is in Cinque Terre these days. My sister and I will be getting to Manarola sometime in the morning this Saturday. We’re taking the train from Florence. I saw the storm alert that you posted a few days ago and I’m hoping that you guys are ok there, didn’t have a big storm, and selfishly hoping that the trails will be ok for hiking around when we get there. If you have a chance to let me know, I’d appreciate it. Thanks and hope maybe we can meet you when we get there. We survived the storm warning without any issues (although that wasn’t the case down the coast from us in Tuscany, unfortunately). This week has been quite unpredictable with the weather. One day we had sun on every forecast with just a 10% chance of showers and it POURED. This weekend they’ve put partly cloudy on the forecast for Saturday and clear and sunny on Sunday. Fingers crossed they are right! So long as the weather conditions are not wet the trails should open (minus the Beccara and coastal trail between Riomaggiore and Corniglia. If you’re staying in Manarola, one of my favorites is to hike the Panoramico and then continue up to Volastra and over to Corniglia. Cinque Terre Trekking is a hiking equipment shop located in Manarola. It’s my favorite local place for trekking gear and a great source of information on the trails, too (Christine is one of the owners and she speaks perfect English… she’s a very passionate hiker/trail runner). I just wanted to thank you so much for all your wonderful advice about Cinque Terre and Manarola in particular. I had such a special experience there. The place my sister and I stayed at in Manarola was the perfect spot in so many ways. Soon after we got there, we went and talked with Christine about the various hiking opportunities. She was very warm and welcoming and informative. We walked around and explored the town on our first afternoon/evening there. Then the next day, went on the hike up through the panoramico through Volastra to Corniglia. Wow!!!! I am not exaggerating at all when I tell you that I could have just stayed right there looking at the spectacular view of Manarola forever. I just was overwhelmed by the magnificence of it all. Just absorbing the natural environment, and so much more… there are no words. In Corniglia we had some wine and delicious food at Terra Rossa Enoteca , which I highly recommend. Built into the hillside overlooking the sea. We bought some wine and stuff and came back to Manarola for sunset and had a picnic looking over the sea. We only had two full days, so the next day, we took the train to Vernazza and did more exploring. I could go on forever. P.S. I like the new pictures of you and your family on this page! This is a great blog! I have just booked to stay the first two weeks of September 2018 at Paraggi beach. We come to Italy a lot so I am not trying to squash in lots of different places. I have been reading up your comments about the CT pass and thinking we will buy 3 separate day passes over the 14 days so we can dip in and out. If we take the bus to Santa Margherita to take the train in, do we have to get off at Levanto to buy the pass? Or can we buy it at Santa? I have checked a lot of your comments and I can’t find any from people coming from our direction. Thanks for reading the blog! If you’d like, you can purchase your tickets online in advance (I’ve got a post on the subject). You don’t need to print your tickets (you can just dowload the code onto your phone) so you could even do that directly from Paraggi so long as you have internet access. I have a post on the subject of purchasing the Cinque Terre Card online, be sure to check it out! The one drawback to purchasing your ticket online in advance is that you won’t be able to change dates if your plans change (just keep that in mind). If you decide to purchase your tickets in person, the first place you’ll be able to from the direction you’ll be arriving from is Levanto. I am planning a trip to Italy the first few weeks in June and I wanted to get some advice… I will be flying into Milan…I also want to go to Cinque Terra and Portofino Ect.. I found you on Instagram I am @jewelsclassicmodel…I NEED Italy Advice ;-)! Hey Amy, Awesome blog! I’m also an expat in Italy (and blogger for Italian Belly). From Vancouver, Canada, moved here in 2009. Great to see what you’ve done in Riomaggiore. I’ve been to Cinque Terre twice but still haven’t been to your town. I’ll make sure to check it out next time. All the best! Looking through your great site, I found no information on activities that occur in October. I will be visiting Cinque terre mid October of this year and wanted to know what is happening during that time.